Gettin Gear’d up from the feet up! Track days are a fun and effective way to improve your skills, and the perfect environment to learn to ride safer. You can test the boundaries of yourself and your bike, and not worry about having your 1199 impounded on the Sea to Sky!! Track Days are held on a closed course (racetrack), which means you learn in a safe environment and at real-world speeds. Learning on a racetrack allows you to ride freely and concentrate on advancing your skill level without the typical hazards faced on the street…potholes, gravel, tar snakes and Buicks. There are plenty of resources to find out about prepping your bike for the big day, but I want to talk about gear for a minute. Its always best to check with the location you are attending about the gear you require and reference their own requirements, as they can vary. For example, the Westwood Motorcycle club website states they require a helmet rated SNELL2015 or ECE-22-05, while Track Time at The Ridge Motorsports park states they only require SNELL2010. I would err on the side of safety and probably ensure that my helmet is the highest current standard for this type of activity. Until they perfect brain transplants, I would take care of that skull! If you are looking to go all out on gear, the initial investment can seem daunting. Believe me, if you’re serious about track days, its only a matter of time before you accumulate at least some of this stuff. But for the causal rider who takes their street legal sport bike to the track, don’t worry I have tips for you too. Leathers…. For the casual rider who is trying out the track and not yet willing to invest fully into protective gear, you can likely use your own leather riding jacket and zip some leather pants into them. The requirement for this is that the zipper from jacket to pants closes 300 degrees. 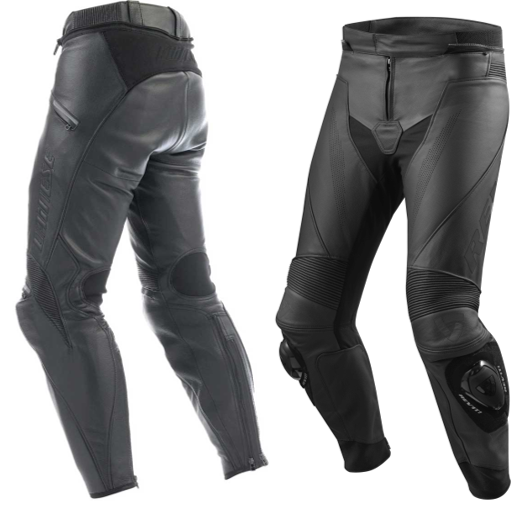 Dainese Alien leather pants will zip into any Dainese or Ducati jacket, and with no knee sliders they transition to street riding. Rev’it also makes a great suit for track or street called the Vertex. If you are ready to invest into track life, a one-piece suit is the answer. 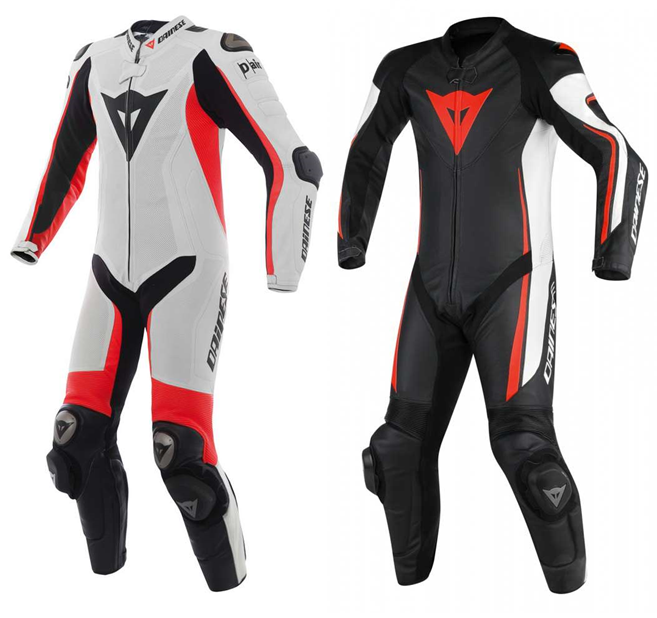 You can spend as little as $1000 for an entry level suit (I wear the Dainese one-piece Assen Ladies suit because the fit works for taller women), or as much as $3200 for an airbag system. You will want to try on a few styles and compare fit before you make a decision, sit on a bike, and feel how the suit works with your body on your bike. Most people opt for a perforated suit on the track since we mostly participate during the hot hot summer. Like I mentioned before, pay attention to the certification for your helmet, and the requirements of the track. You will see Valentino Rossi wearing an AGV Pista GP R helmet ($1750 CAD +) but they are ECE/DOT certified, not SNELL. In Canada this is a widely accepted standard, and that doesn’t mean you won’t be able to wear what the athletes wear in the USA, just make certain the track you visit accepts ECE. I have collected several helmets over the years, all with different certifications and purposes. At the track I have worn a Bell Race Star, an AGV Veloce S, and an Arai Vector II. The fit of your helmet is paramount. There are plenty of articles online about how to fit a helmet properly. A quick google search will provide you with no shortage of tricks and tips, so I won’t go into the topic too far. Just know that an ill-fitting helmet is not going to do its job, which is to protect your brain. What is the best helmet? The helmet that fits you well!! That fancy flame graphic is not going to protect your central nervous system, which leads me into…..
An obvious MUST. If you are wearing a leather jacket, you should still use a back protector that covers your spine from top to bottom. They come in different shapes, sizes and ratings. 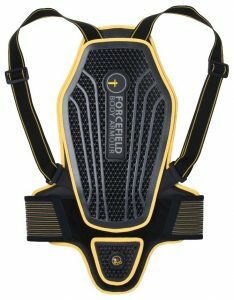 I use a Dainese Pro Armour, but ForceField makes one called the Freelite, or Alpine stars has a Nucleon. Motorcycle boots are designed with rider-specific features in mind. Race boots are typically low profile, and lightweight. You will typically want a taller boot, but some companies manufacture “In Boots” to go with suits from the same brand. When shopping for a boot, keep an eye on construction, they need to stay together while being ground into the asphault at highway speeds in order to save your skin. The best boots are put together with double or triple stitching, have metal toe slider, and have a system in place to prevent your ankle from twisting (torsion control). You want them to fit comfortably and snug, like work boot would. I ride with Dainese (I know you are sensing a theme here) Corse D1 Out boots. I have also ridden with the Alpine Stars Stella SMX boot. If you are looking to invest in serious gear, check out the SIDI Mag-1 boots, if you want entry level, go with the SIDI Performer boot. You will have to ride with gauntlet gloves. Look for a glove with two closures, one at the wrist, and one on the forearm. Carbon knuckles and webbing between the pinky and ring finger are basics. Look for some kind of distortion control system for the pinky, it’s a very common injury. Palm sliders are going to help prevent a collar bone injury BELIEVEITORNOT! Think about if someone tripped you, and you hit the ground hands first. That part on the bottom of your palm, that’s where it should sit. And foam is not going to cut it, you want D30 material or a hard plastic, or carbon that will slide and disburse energy. I ride with Rev’it Monster gloves on the street, but Dainese Carbon Cover gloves on the track. Again, an investment glove would be Dainese Full Metal glove, or HELD makes BMW’s DoubleR glove. Motorcycle track days are a lot of fun, and an addiction for some. There will always be some gear you will want or need, and that never ends. But hopefully there was something in this article that will make a small difference for you at the track next time. BE BOLD, BE BRAVE, RIDE ON! !